Each SEN03010 sensor measures water content at one position on an EnviroSCAN probe; one sensor per measurement depth is required. Sensors are positioned at 10 cm increments. The maximum number of sensors that can be accommodated depends on the EnviroSCAN probe chosen. 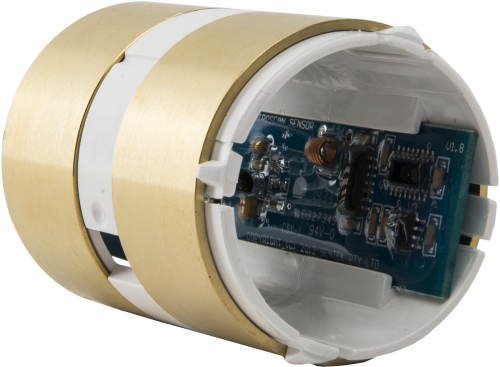 The SEN02012, our longest EnviroSCAN probe, can accommodate up to 16 SEN03010 sensors.